Fossil shark tooth, Carcharodon Megalodon, from South Carolina, USA, 20 million years old. Not only was Megalodon the biggest prehistoric shark that ever lived, it was the biggest predatory marine creature in the history of the planet. Megalodon didn't earn its name ("giant tooth") for nothing. 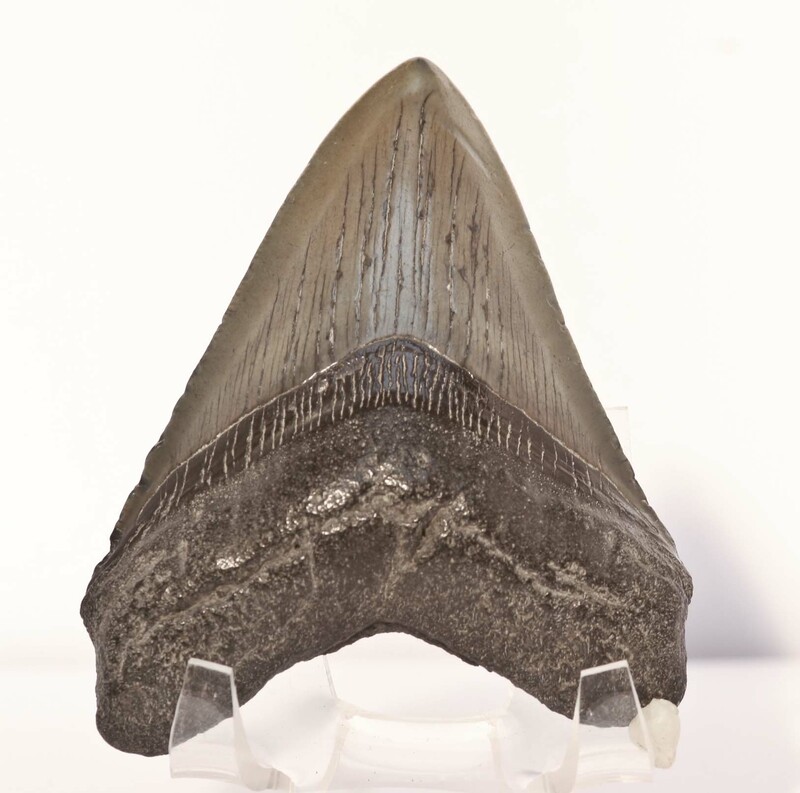 The teeth of this prehistoric shark were over half a foot long, serrated, and heart-shaped. It had the most powerful bite of any creature that ever lived. Since Megalodon is known from thousands of teeth but only a few scattered bones, its exact size has been a matter of debate but the consensus today is that adults were 55 to 60 feet long and weighed as much as 100 tons.